Promo Victory is proud to be named a winner of the 2018 Marvin S. Gilman Superstar in Business Award. 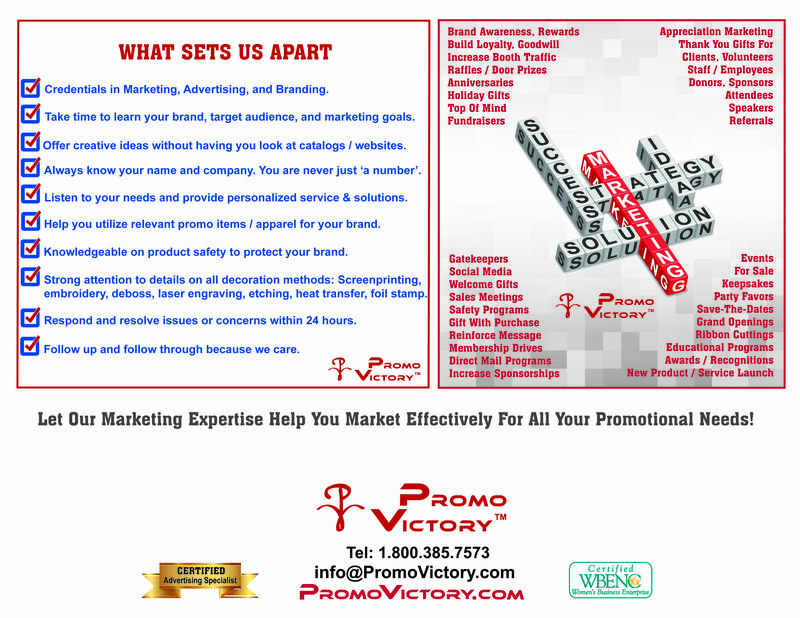 Promo Victory holds the distinction of being Delaware's only promotional company certified by the Women's Business Enterprise National Council (WBENC) and also Certified Advertising Specialist (CAS). We have adopted standards for the safety, quality and integrity of our products and we are dedicated to complying with all applicable laws and to conduct business in an ethical and responsible manner. Sign up to get our newsletters, special offers and much more!